An excursion dedicated to adventure and adrenaline during which we will admire the enchanting Belize landscape on a jungle buggy along jungle tracks, gliding on a zipline or drifting along the river aboard fun giant tubes to discover Mayan underground caves. Entertainment guaranteed! 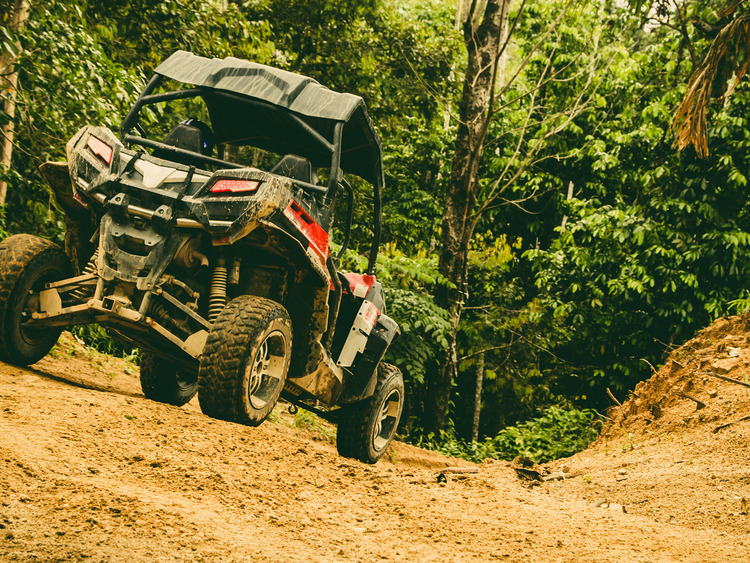 Let us get ready for an exceptional adrenaline rush at the Jaguar Paw Adventure Outpost where we can choose between riding the rough tracks of the thick lush jungle aboard Jungle Buggies or observing the treetops from a different perspective while ziplining 150 metres from the ground. An adrenaline rush is ensured: let your emotions take over and keep our eyes peeled not to miss the true spectacle of nature! After four-wheel riding and zipline gliding, it is now time to pass to River Tubing where we will float along the river aboard large tubes to discover the stalactite walls of the Mayan underground world. We get off our tube to explore the ancient Mayan underground caves (300-900 AD). We then get back on out tubes to reach the cave lagoon where we can go for a dip in the cool waters. Before making our way back to the basecamp, we can purchase a photo of our adventure. Local food and beverages for sale at the Jaguar Paw Jungle Café. Drivers must hold a valid driving licence. The excursion is prohibited for pregnant women and guests with mobility problems, back, neck or heart issues, convulsions as well as visual and auditory disorders. Do not forget a change of clothing, a towel and closed-toe shoes. The coach transfer takes approximately 1 hour and a half.